Warp Speed? Are we really heading to the final frontier, to explore strange new worlds, to seek out new life and new civilizations, to boldly go where no man has gone before…? Warp Speed is the culmination of a few months work and collaboration between Andy Poad and myself, following the growing discovery that this simple little circular loom that we designed and developed really contains all kinds of hidden depths, ones which we hadn’t originally anticipated! But upon exploration these depths have been slowly revealing themselves, in the form of a big variety of warping possibilities and potential patterns for creating a huge range of different kinds of weaves and shapes and forms. Once we put our thinking together we found that between us we could dream up all kinds of possibilities, and really wanted to find a way to share those with other people who are also discovering circular weaving. Having already started the Circle Weaving facebook group, and seeing how willing everyone was to share idea and techniques, we were very inspired to make Warp Speed into something that not only would offer patterns and designs for people to use, but also become a way for other people to create and share their own patterns too. 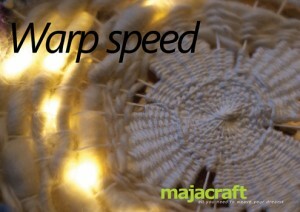 So what is Warp Speed? Its not really a command from the bridge… Its more a suggestion 🙂 It contains a way of writing and reading a pattern designed specifically for circular weavings. Andy is very good at creating logical progressions of constructions and then also explaining them in a clear and simple way. 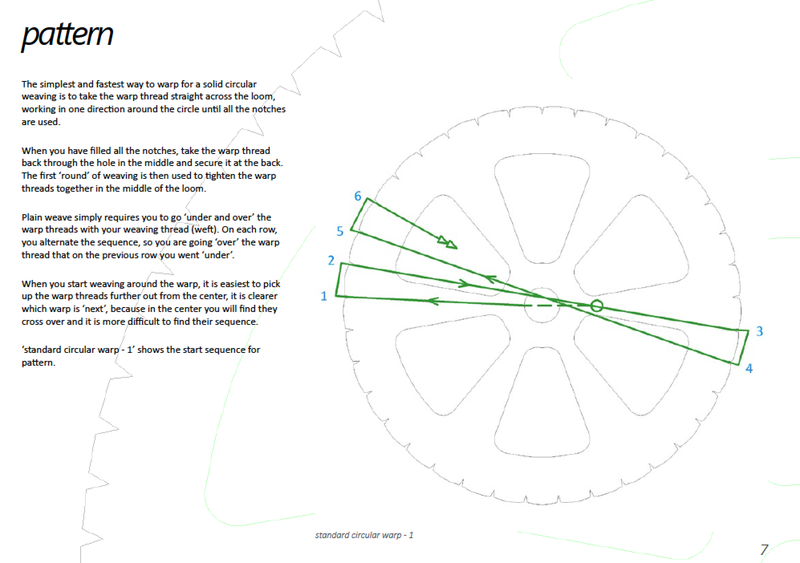 We applied this to Warp Speed and came up with a neat way to explain different kinds of warps in a really consistent way, and it can be applied to any kind of circular loom (not only the Majacraft ones) as we wanted it to be as universal (see what I did there?) as possible. So it has the pattern key, it has a bunch of patterns for warps that Andy and I dreamed up and trialled, it also has some fabulous photos of some very inspirational weavings done by members of the Circle Weaving group, AND it has a template in it that can be printed and used for you to develop your own patterns! if you havent already, join the Circle Weaving Facebook group (you will need to share something there later). 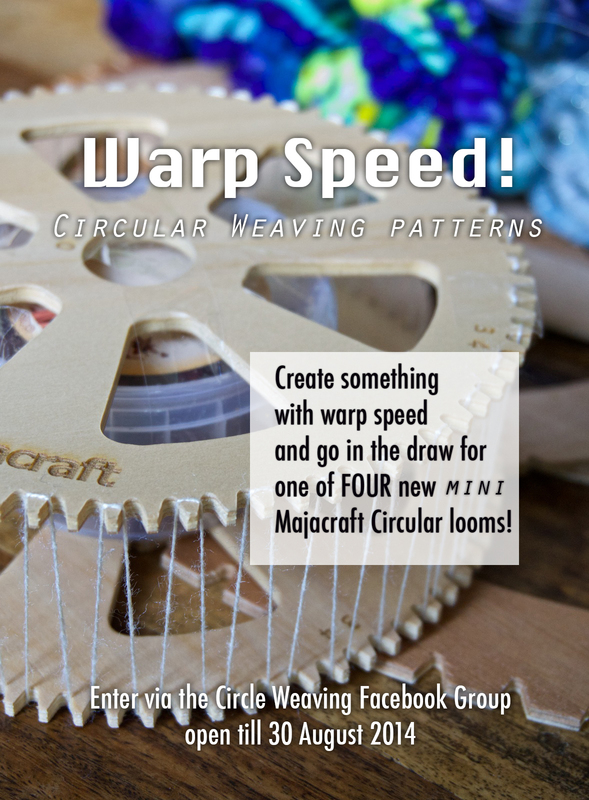 Design your own warp pattern! Make a weaving from it and then SHARE the result AND the pattern you used on the Circle Weaving group page, Tag Andrew Poad and myself, and then email me your photos too so I can add them to the gallery we will create. Don’t have a loom yet? Don’t worry you can still enter! Use anything round and warpable, or better yet, print out the template and make your own circular loom in cardboard! It will be a temporary loom but will make you at least one round weaving! Entries need to be in by 30 August, at which time we will make a random selection from the entries and four lucky people will be getting their own mini loom! 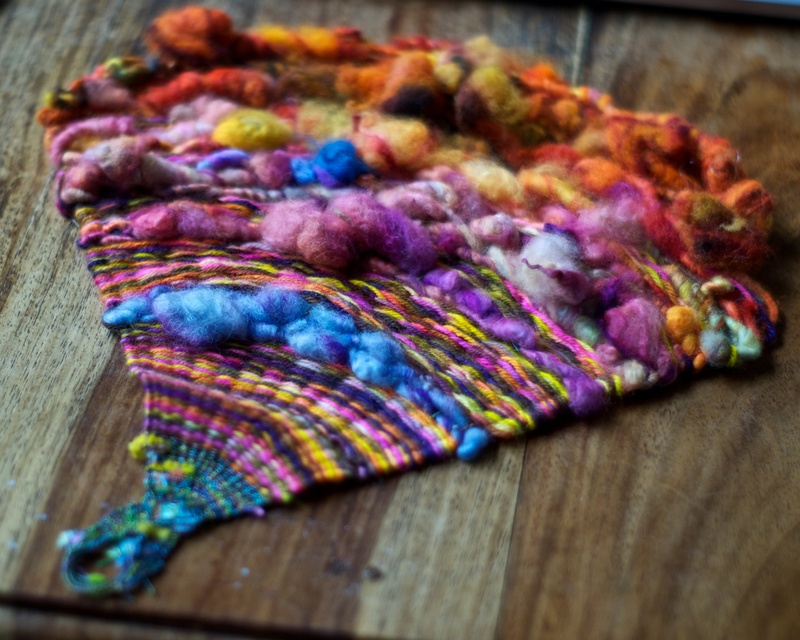 Not only that, but everyone who participates will have their pattern and weaving included in the next Warp Speed booklet! We are planning a follow up with your patterns and a section of our own tips and techniques for weaving and warps. i love your circular weaving looms. can they be purchased??? I am so excited about this…I have so many drawings & ideas already…I just need to find one that works for the design & finished product. I can’t wait to show you once I am finished. Look forward to seeing everyone’s beautiful designs. This is fantastic! I can’t wait to see all the entries. Circular weaving has so many incredible possibilities for creative play. Thanks to you and Andy for all your work developing a new toy for us.